events@winewkshop.com Monday – Friday, to register for events. EVENT DATES, LOCATIONS AND WINES ARE SUBJECT TO CHANGE. Bill Harlan zeroed in on the Oakville section of Napa Valley to find a home for arguably some of the greatest wines made in California. They have duly earned worldwide acclaim and are regulars on the auction block. 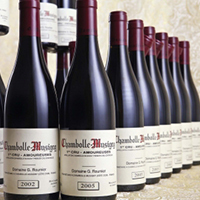 Prices for their best vintages are well over $1000 a bottle. 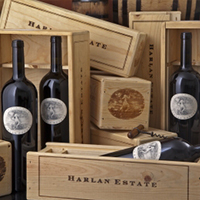 One of the original “cult wines,” Harlan has a waiting list nearly a mile long. We are pleased to present an opportunity to taste an extensive Harlan vertical at one of New York’s greatest steak houses. The wines are rich, detailed, complex, beautifully crafted, and well worth the high price tag attached to them. 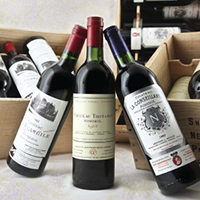 Vintages include: 2007; 2006; 2005; 2003; 2001; 2000; 1999; 1998; 1997; 1996; 1995; 1994; 1993; 1992; 1991; and 1990. The beautiful Gruaud-Larose estate sits on a picturesque plateau in St. Julien and is one of the most famous châteaux in all of Bordeaux. 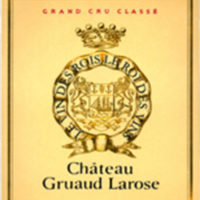 Gruaud-Larose has certainly produced wines of first growth quality in a number of different vintages. The wines are incredibly powerful and muscular, deep with earthy complexity. Gruaud is classic Bordeaux at its best, and a wine that has been made for the long haul. The estate was divided shortly after the 1855 classification between Baron Sarget and the Bethmann family. The estate was unified once again when the Cordier family purchased from Sarget in 1917 and the Bethmann’s in 1935. We will get to taste wines from the Bethmann estate at the dinner. The terroir of Gruaud-Larose is dominated by clay, creating a rich, velvety mouthfeel. These wines are beloved by connoisseurs of traditionally styled claret and we look forward to welcoming Managing Director Nicolas Sinoquet for this historic vertical. 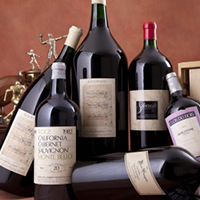 Vintages include: 2006; 2005;2004; 2003; 2002; 2001; 2000; 1999; 1998; 1997; 1996; 1995; 1990; 1989; 1986; 1985; 1982; 1981; 1975; 1964; 1928; and 1926. From extremely humble beginnings, Ramonet built up arguably the finest white wine domaine in all of Burgundy. 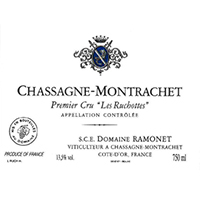 Today, the name Ramonet is synonymous with the apex of Chardonnay. These are highly distinct wines with a clear expression of terroir and a great track record for long aging. Ruchottes is the most exciting of the Ramonet premier crus with its rich inner core of fruit and focused minerality. Join us for this rare opportunity to taste a vertical of Ramonet Ruchottes paired with a seafood heavy meal to celebrate the synergy of white Burgundy and the ocean’s bounty. Vintages include: 2002; 2001; 2000; 1999; 1998; 1996; 1995; 1993; 1992; 1991; 1990; and 1988. Pinot Noir is heralded as the most fickle and troublesome of varietals but also the most glorious and satisfying. The wines can be the most evocative of their terroir when made by the best winemakers from the best regions. Winemakers across the globe are producing sumptuous, earthy, and velvety Pinot Noirs that can rival those of Burgundy. 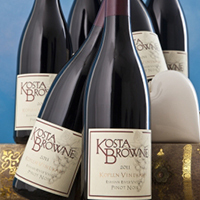 Even outside of Burgundy, California, and Oregon, you can find excellent pinots with a broad range of styles. Here is your opportunity to taste through the gamut of Pinot Noir from many of the best winemakers around the world today. Wines include: 2016 Aubert Sonoma Coast; 2015 Kosta Browne Gap's Crown; 2002 Calera Mills Vineyard; 2015 Domaine de la Cote Memorius Sta. Rita Hills; 1996 William Selyem Sonoma Coast; 2013 Domaine Serene Evenstad Reserve; 2013 Eyrie Vineyards Original Vines Reserve; 2016 Lingua Franca Avni Pinot Noir; 2014 Adelsheim Pinot Noir Elizabeth's Reserve; 2015 Beaux Freres Vineyard; 2015 Fourrier Vosne-Romanée Aux Reas; 2006 Mugnier Nuits St. Georges Clos de Marechale; 2014 Cathiard Nuits-Saint-Georges Aux Thorey; and 2015 Bouchard Beaune Greves Enfant Jesus. Still considered an insiders wine, grower Champagne is one of the best values in wine collecting and drinking today. You can find superb wines from small, family-run domaines that are every bit as satisfying as any of the larger houses. These smaller houses offer a wide range of styles, but quality is extremely high. Champagne is more than just a wine to celebrate with, it is one of the most versatile wines with food, it is highly expressive of terroir and is capable of long aging. Our lineup includes the best of grower champagne today. Wines include: 2000 Pierre Peters Cuvée Speciale Chetillons; Selosse Initiale; 2010 Cedric Bouchard Roses de Jeanne La Bolorée; 2006 Chartogne-Taillet Fiacre; Egly Ouriet Blancs de Noirs Vieilles Vignes; 2008 Robert Moncuit Chetillons; 2013 Savart l'Année Extra Brut; LC14 Jerome Prevost La Closerie les Beguines Extra Brut; Bereche et Fils Reflet d'Antan Brut; Ulysse Collin Les Pierrieres Extra Brut; Georges Laval Cumieres Brut; Dhondt-Grellet Le Bateau Extra Brut; and Laherte Freres Extra Brut Rose de Meunier. Apart from Clos-Saint-Jacques and Cros Parantoux, Les Amoureuses is the prime candidate to be promoted to grand cru status. Amoureuses is situated just below Musigny on two parcels. The soil consists primarily of a red clay layer, 30 to 50 cm in depth, covering a compact limestone slab. The greatest examples of Les Amoureuses are the essence of delicacy and finesse, balanced but with an inner core of concentrated fruit and minerality. Cut from the same cloth as Musigny, a great Amoureuses is one of the most rewarding and aromatically complex wines in all of Burgundy. 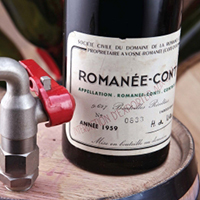 For most Burgundy lovers, Roumier is widely acknowledged as the greatest producer of Amoureuses. Vintages include: 1978; 1993; 1995; 1996; 1998; 1999; 2002; 2005; 2006; 2009; and 2011. Plus 1993 and 2010 JF Mugnier Amoureuses. From near obscurity to one of the most renowned regions in Bordeaux, Pomerol is home to some of Bordeaux most famous châteaux. It is a continuation of the plateau directly above St. Émilion to the northwest, on the Right Bank of the river. The heavy clay soil of Pomerol contributes greatly to the character of the wine. The density of the soil accentuates the elegant roundness of the Merlot grape to create wines of finesse and distinction. Only after ten years do these wines begin to open up. Many wines start to peak at twenty and then last sixty years in bottle or more. Pomerol wines are defined by extremely rich, sweet fruit, velvety texture, and supple tannin. In 1998, growers in the right bank were able to pick the early ripening Merlot around September 20-26, before the rain set in. The right bank enjoyed a fantastic vintage with Pomerol leading the way. 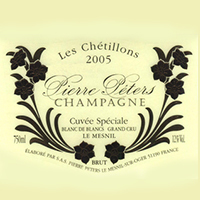 Wines include: Petrus; Lafleur; L'Eglise Clinet; Trotanoy; L'Evangile; La Fleur Petrus; Vieux Chateau Certan; La Conseillante; Latour a Pomerol; La Fleur de Gay; Hosanna; Clinet; Clos l'Eglise; and Certan de May. Terroir is the French concept incorporating all that contributes to the distinctiveness of a specific growing site: soil, subsoil, drainage, slope, and altitude. The concept of terroir is particularly important to the Pinot Noir grape which is hypersensitive to its environment. 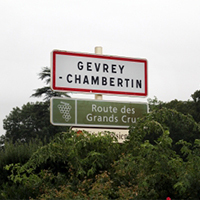 Gevrey-Chambertin is the largest village in the Cote d’Or. It is here where the distinctiveness of the vineyards come through. All Gevreys, regardless of the level, should be substantial wines. Dark, rich, and infused with a distinctive goût de terroir of assertive fruit and earthiness. Yet the best wines of Gevrey have balance, even the grand crus, with all their muscle and weight, are never overblown. Not only will you enjoy a great selection of classic Burgundy, but you will leave with a greater understanding of this esteemed terroir. Wines include: 2007 Rousseau Chambertin; 1999 Dujac 1er Aux Combottes; 1999 Roty Charmes-Chambertin TVV; 2001 Mugneret-Gibourg Ruchottes-Chambertin; 2002 Drouhin Griottes-Chambertin; 2008 Denis Bachelet 1er Les Corbeaux; 2001 Claude Dugat 1er Lavaux St. Jacques; 2002 Fourrier 1er Cherbaudes; 2001 Rene Leclerc 1er Combe aux Moines; Faiveley 2001 Chambertin-Clos de Beze and 1999 Latricieres-Chambertin; 2010 Bruno Clair 1er Cazetiers; 2005 Jadot Chapelle-Chambertin; 2012 Maume Mazi-Chambertin; 2012 Esmonin 1er Clos St. Jacques; and 2012 Burguet Chapeaux. Haut-Brion is one of the greatest names in French wine history dating back to the 16th century. Long before Thomas Jefferson and Benjamin Franklin appreciated this historic Château, Samuel Pepys first mentioned it in 1663; John Locke visited the property in 1677. Among the First Growths, Haut-Brion is arguably the most terroir-driven, aromatically complex, and elegant. It was the only Graves property included in the 1855 classification. We are honored to welcome Château Haut-Brion’s Deputy Managing Director Jean-Philippe Delmas, to host this historic vertical at Eric Ripert’s esteemed Le Bernardin. The day will start with a tasting of recent vintages followed by a luncheon carefully paired with the older wines. Seating will be extremely limited for this legendary event so please reserve your place now. 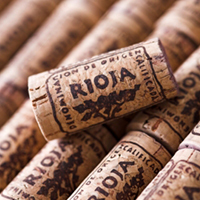 Rioja is Spain’s most famous wine region. 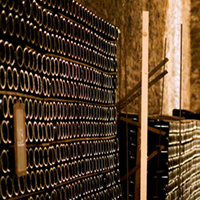 Many of the greatest bodegas (wineries), such as Lopez, CVNE, and Rioja Alta, are over a century old and still produce wines using traditional albeit somewhat modified methods. Rioja is divided between three sub-zones: Alta, Alavesa, and Baja. Alta and Alavesa are cooler regions that favor the higher acid Tempranillo grape. Baja, which has a warmer, Mediterranean climate favors the softer and lower acid Garnacha which blends well with the more structured Tempranillo. Traditionally, Rioja is aged many years in American oak barrels, so on release the wines already have a developed bouquet. However, there are some modern bodegas who use small French barriques and release the wines early to emphasize a more fruit-forward style. Many lovers of traditional Rioja consider these new wines to be too heavy-handed as they show too much extraction and their alcohol levels are too high. Our tasting will highlight the greatest names in Rioja from both schools. including: 1985 Lopez Tondonia GR; 1991 Lopez Bosconia GR; 1994 CVNE Imperial; 1995 Contino Reserva; 1997 La Rioja Alta 904; 1998 Riojanas Vina Albina; 1999 Artadi Vina Pison; 2004 Torre Muga; 2005 Fernando Remirez de Ganuza; 2005 Remelluri; 2006 Vinedos de Paganos El Puntido; and 2012 Palacios Remondo Propriedad H. Remondo. The Scharzhof manor house lies at the foot of the great Scharzhofberg vineyard in the Saar. It is here where Egon Müller makes one of the finest white wines in the world, on the level of the greatest Montrachets from Burgundy. The Scharzhof estate has been in the hands of the Müller family since 1797. For most Riesling lovers, Scharzhof is the finest estate in Germany. Although the Scharzhofberg vineyard is shared with other growers, the Müller estate owns 8.3 of the 28 hectares. The Müller holdings include a parcel of one-hundred-year-old, un-grafted vines which are right behind the house. These vines produce wines of highest quality and are, without question, among the world’s great wines. Please join us as we enjoy Egon Müller’s wines throughout the decades and of various Pradikat levels, carefully paired with Jungsik’s delicate cuisine. 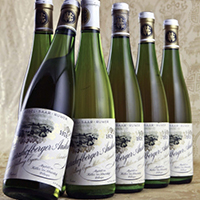 Wines include: 1976 Scharzhofberger Auslese; 1981 Scharzhofberger Auslese; 1985 Scharzhofberger Kabinett; 1988 Wiltinger Braune Kupp Spatlese; 1989 Wiltinger Braune Kupp Auslese; 1990 Scharzhofberger Spatlese; 1996 Scharzhofberger Spatlese; 1999 Scharzhofberger Auslese Auction; 2003 Scharzhofberger Kabinett; 2007 Scharzhofberger Kabinett; 2009 Scharzhofberger Auslese; 2009 Scharzhofberger Kabinett alte reben, auction; 2010 Scharzhofberger Auslese; 2011 Scharzhofberger Spatlese Auction (Magnum); and 2012 Scharzhofberger Spatlese Auction. 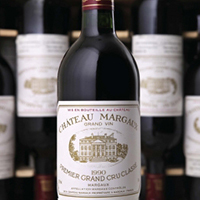 Margaux is famous for producing fragrant wines with sweet fruit flavors, silky tannins, and considerable delicacy. There is an elegance to the wines of Margaux but the wines are by no means meager. Some of the greatest wines of Bordeaux come from this appellation. Margaux is a widespread district which can be quite variable in style but, on the whole, the benchmark examples display a classic cedar bouquet with balanced elegance and harmony. This beloved commune is a favorite of claret lovers. Our tasting offers the opportunity to taste the more important Chateaux of the appellation to better understand their house styles. Wines include: 1985 Chateau Margaux; 1999 Palmer; 1990 Rauzan-Segla; 2005 Malescot St. Exupery; 2000 Giscours; 2000 Marquis de Terme; 2005 Brane-Cantenac; 2009 Lascombes; 1996 Kirwan; 1996 d'Issan; 2009 Chateau du Tertre; 1995 Prieure-Lichine and 2005 Dauzac. Piedmont is the home to the great Nebbiolo grape, which makes both Barolo and Barbaresco-- two of the greatest wines of Italy. The wines are made in minute quantities from a series of south facing slopes perched above the fog line in the Langhe hills around the town of Alba. Alba also happens to be the white truffle capital of the world. There has been an exciting development of vineyard designated wines in Piedmont which enable connoisseurs to compare villages and vineyard sites on the same terroir-focused level as great Burgundy. Nebbiolo and white truffles work together in perfect harmony. Lincoln’s new Chef, Shea Gallante (Felidia, Bouley, and Cru), will skillfully pair an exquisite white truffle menu with these delicious wines. This is sure to be a gastronomic experience not to be missed. Wines include: 1982 Giacomo Conterno Monfortino; 1985 and 2001 Giacomo Conterno Cascina Francia; 1988 Bruno Giacosa Falletto; 1990 Bruno Giacosa Barbaresco Gallina; 1971, 1978 and 1995 Bartolo Mascarello Barolo; 1997 Giuseppe Mascarello Ca d'Morisso Riserva; 1964 Giuseppe Mascarello Barolo; 1964 Giuseppe Rinaldi Barolo; 1985 Aldo Conterno Granbussia Riserva; and 1961 Cappellano. 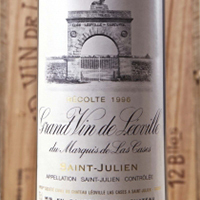 The three Léoville vineyards in Saint Julien were all classified as second growths in the 1855 classification of the Médoc. All three properties were once owned by Blaise Alexandre de Gasq, Lord of Léoville and a president of the Bordeaux parliament in the 18th century. When the property was divided after the French Revolution, part of it remained with Jean de Las-Cases, a member of the Léoville family. The rest was split between Hugh Barton, an Irish wine merchant, and the Poyferré family. Today, all three properties remain separately owned and run. During the 1920s, Poyferré was considered the best, but, since then, many feel the other two have edged ahead, with Las-Cases leading the way. All three estates make spectacular wine in different styles. Las-Cases has richness, depth, structure, and balance. Barton is more traditional, tannic, and built to last. Poyferré, since the 1980s under the guidance of Michel Rolland, has a style which is forward, fruity, round, and rich. This head-to-head blind tasting will be a fascinating way to compare them side by side. We will compare all three Chateaux in 1989, 1990, 1996, and 2000. The larger format of a magnum allows for slower maturation in bottle, resulting in a wine with more freshness, complexity, and longevity. We will be pouring an outstanding selection of rare magnums from the greatest names in wine; classic vintages from the super stars of their prospective regions. While rare to find in bottle, these treasures in magnum are even rarer still. Join us for this exquisite night exploring the bigger and better. 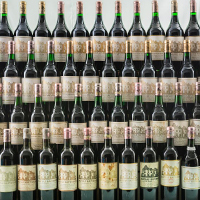 Magnums include: 1976 Salon; 1959 Domaine de la Romanée-Conti Romanée-Conti, 1985 Domaine de la Romanée-Conti La Tache; 1945 La Mission Haut Brion; 1959 Chateau Mouton-Rothschild; 1961 La Mission Haut Brion, 1961 Chateau Latour; 1964 Petrus; 1990 Giacosa Barolo Falletto Riserva; 1970 Vega Sicilia Unico; 1989 Beaucastel Chateauneuf du Pape Hommage J Perrin; and 1975 Chateau d’Yquem. 1994 Diamond Creek Volcanic Hill; 1994 Opus One; 1992 Laurel Glen; 1992 Insignia; 1992 Spottswoode; 1991 Togni; 1991 Dominus; 1987 Mondavi Reserve; 1987 Mayacamas; 1986 Montelena; 1985 Beringer Private Reserve; 1984 Ridge Monte Bello; 1984 Stag's leap Cask 23; 1982 Dunn Howell Mountain; 1978 Jordan; 1978 Heitz Martha's Vineyard; 1966 Beaulieu Vineyard; 1965 Inglenook. Giuseppe Quintarelli is arguably the greatest traditional producer in the Veneto who makes sublime Valpolicella, Recioto, and Amarones. Since Giuseppe’s passing, his daughter Fiorenza is in charge and has not changed a thing. From the beautiful, handwritten labels, to the exquisite wine in the bottles, the Quintarelli name is a stamp of authenticity and the ultimate indication of an artisanal, uncompromising wine of the highest quality. The blend is Corvina, Corvinone, and Rondinella, grown on limestone and basalt soil from 30+ year old vines. After fermentation, the wine is racked into large Slavonian oak barrels and aged for seven years. 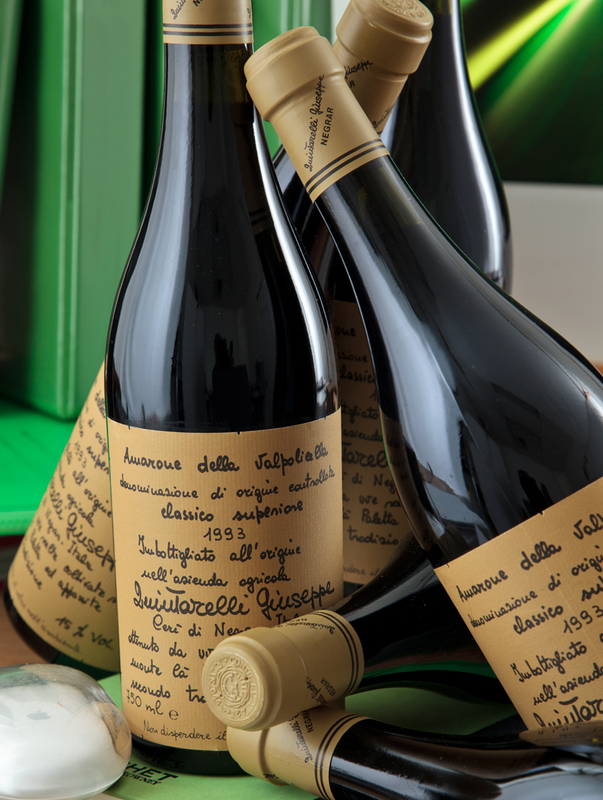 The Quintarelli Amarone is a selection of the very best barrels and production is limited to 4,000 cases. Join us at Michael White’s elegant uptown restaurant for refined Italian cuisine paired with these stunning wines. 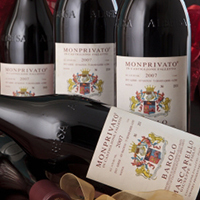 Vintages of Amarone include: 1969; 1971; 1975; 1978 (Centenario); 1979; 1980; 1981; 1983; 1984; 1985; 1986; 1988; 1990; 1991; and 1993. 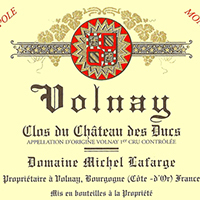 Lafarge makes wonderfully pure and concentrated wines that are the essence of great Volnay. Burgundy connoisseurs love these wines for their transparency, terroir distinction, and soul. Michel Lafarge, now well into his 80s, is still very much involved in the winemaking, but his son, Frédéric, is now in charge. Even though they converted to biodynamics in 2000, nothing much has changed in their old-fashioned cellar in Volnay. Among the cobwebs and seasoned old oak barrels, you will find benchmark examples of the best wines coming out of Volnay today. Their top wines are the Clos des Chenes and the Clos du Chateau des Ducs but all their wines are worth seeking out. Wine include: 2009, 2008, 2005, 2002 Volnay Clos des Chenes; 2010; 2009; 2008; 2005; 1996; 1993 Volnay Clos du Chateau des Ducs; 2009 and 2008 Volnay Caillerets; 2009 Volnay Mitans. Roederer has always been noted for producing stunning wines. From the beginning, the house understood the importance of the export market especially in the US and Russia— the flagship Cristal was first made for the Russian Tsar and his court, produced in a sweet style, and sold in a clear bottle to showcase its contents. 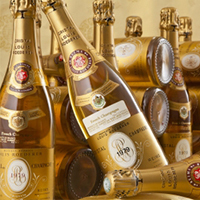 Of all the major houses, Roederer draws primarily from their own extensive vineyard holdings. The majority of their holdings are in grand cru sites. Cristal is only produced in the best years and made in a focused, dry style. It’s full, rich, and age-worthy yet refined and detailed. Cristal achieves a level of elegance and sophistication that is rarely attained by other houses. The BYO is back! Those of you who came last year saw an incredible display of generosity, hedonism, and a bit of excess! Come join us, and up to 100 other wine lovers, at Tribeca Grill with gems from your cellar. We will seat in tables of ten according to the caliber of wine you bring and regulate a certain minimum standard, so no worries! After a bit, everyone shares around the room and it becomes a heck of a party. The sky is the limit for the amount of extraordinary wines you will have a chance to sample. This dinner includes a four-course meal in Tribeca Grill’s private room. Don’t miss one of the most fun wine experiences of the year and a memory that will last a lifetime. There are NO refunds, only credit towards future classes (based on availability). Credit is given if cancellations are received no later than 14 business days prior to the tastings or 21 business days prior to dinners. All reservations are confirmed and final upon payment.